I hear Bruce Dern before I see him, that unforgettable, surprisingly high voice. He lopes into the bar of the Langham Huntington hotel in Pasadena, pitched slightly forward like Woody Grant, his character in Alexander Payne’s Nebraska, for which he picked up the award for Best Actor at Cannes in May. 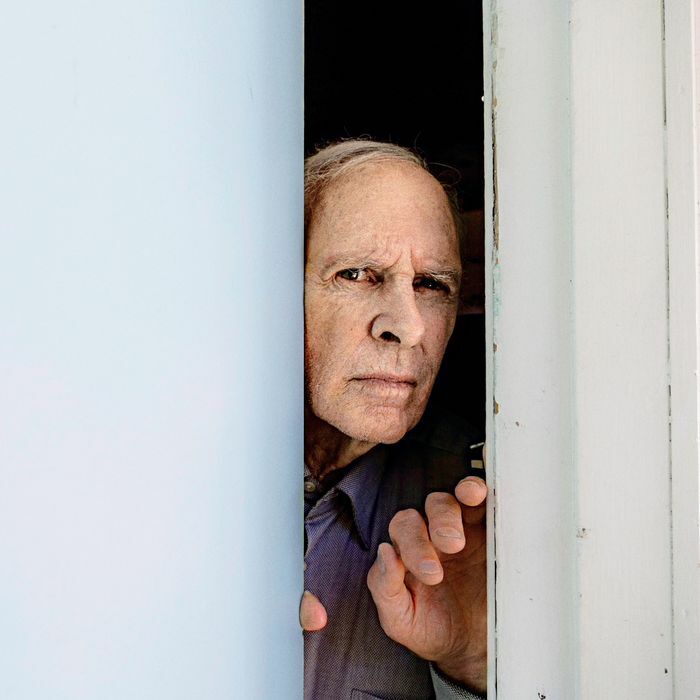 Dern plays a taciturn crank with early signs of dementia, determined to travel from Montana to Nebraska to collect the million bucks promised in a junk-mail flyer, much to the fury of his wife (June Squibb) and the exasperation of his elder son (Bob Odenkirk). Only his younger son (Will Forte) will bother with him, and they embark on a road trip of bittersweet consequence, with Dern, at 77, earning the sort of praise that makes and remakes careers. Fellow actors and critics have been marveling over Dern’s own ability to pull authentic moments seemingly out of nowhere since his 1958 Broadway debut in Sean O’Casey’s Shadow of a Gunman—52 seconds that theater critic Brooks Atkinson called one of Broadway’s most illustrious performances in years. Walter Kerr wrote that the production’s one saving grace was Bruce Stern. This still makes Dern laugh. “Jack [Nicholson] coined the phrase ‘Dernsie’ during The King of Marvin Gardens,” he says. “It basically means coming up with something that hasn’t been written.” Ashby requested a Dernsie for the last scene of 1978’s Coming Home, in which the actor plays an emotionally destroyed Vietnam vet. Without spoiling it for you, the critical moment wasn’t in the script, and the role earned Dern a Best Supporting Actor nomination. *This article originally appeared in the October 7, 2013 issue of New York Magazine.